Le Capitaine Richard records the following 'Curious Incident' which took place the Barracks of New France (Caserne de Nouvelle-France) where the Officers of the Zouaves de la Garde had their mess. "The Capitaine Adjutant Major Petit, who conversed with Alexandre Dumas, one day whilst walking in a boulevard, invited him to dinner, with no ceremony. Dumas accepted. The Captain shortly spoke to the Colonel Lacretelle to warn of the coming of the illsutrrious novelist and also to warn all officers. But the band was playing that evening, taking its turn of duty, at the dinner of the the Emperor. However, a reception without music is a wedding without violins, so the Adjutant-Major went to the Tuileries to change the tour of duty of the band of the Zouaves. But it was impossible! It is too late, musicians from other regiments were already scattered out of their barracks en route to the various theaters of the capital, where they almost invariable played in the orchestras. "The Sub-Officers under punishment in the Regiment of Zouaves of the Guard have come to learn that Mr. Alexandre Dumas honored with his presence the table of their officers. The famous novelist is well, they hope, and beg for them clemency from the Colonel and make him open, by his influence, the doors of the small Chateau d'If, which military discipline now keeps locked. Alexandre Dumas has already often shown charm with his narratives, in their leisure time, they often admire his talent, but they would be proud to have his personal recognition. "You see sir," said Alexandre Dumas, holding the letter to Colonel Lacretelle and smiling "I am attacked by my weakness: the heart and the spirit. Edmond Dantes is begging me to be let out of the Chateau d'If." The galant man, the colonel responded in writing on the letter: "I agree with the sentiment." Dumas then asked the favour to go and open the doors of the Guard Room which he enters and cries "Stand up! Comrades! Your chains are broken, the Colonel has shown mercy!" 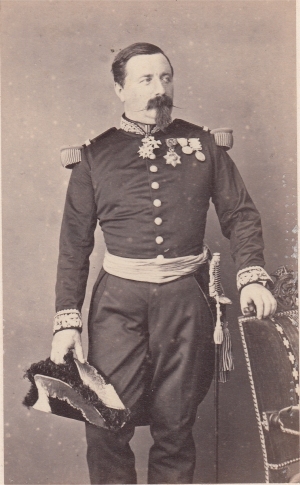 The following day Dumas left for Belgium and wrote to a friend that the officers of the Zouaves were charming, that he had lifted the punishments of the regiment, and in honour of his visit the music had been cancelled at the dinner of the Emperor. The Colonel Lacretelle was reprimanded by the Marshal Regnaud de Saint-Jean d'Angely, and he was obliged to relay to him the accuracy of the events which had occured. 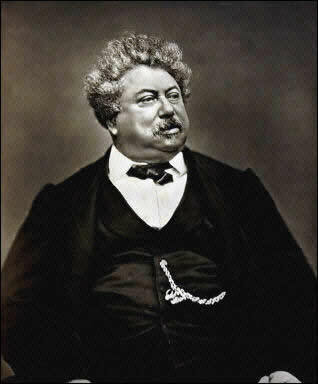 Alexandre Dumas had quite unconsciously assumed the perogative of the colonel to life punishments in the regiment. The officers of the Zouaves were greatly annoyed by this indiscretion of the great novelist, whose doings were then much reported about Paris. " Several times Alexandre Dumas usually made it a game to disconcert his hosts by absolute silence: it was not so at dinnerof the Zouaves, he spent that evening joking, besides, he was a true prodigy, the treasures of his mind, of clever embroidery dazzling gems of fantasies of an imagination that knew no not the weight of years. Lacretelle was forced to give him replies, as like dazzling rockets, the replies crossed over the table. At dessert, the colonel presented a toast to the great novelist, whose novels he had spent reading in his spare time amongst the Zouaves, in their tents in Africa and in the trenches before Sebastopol. 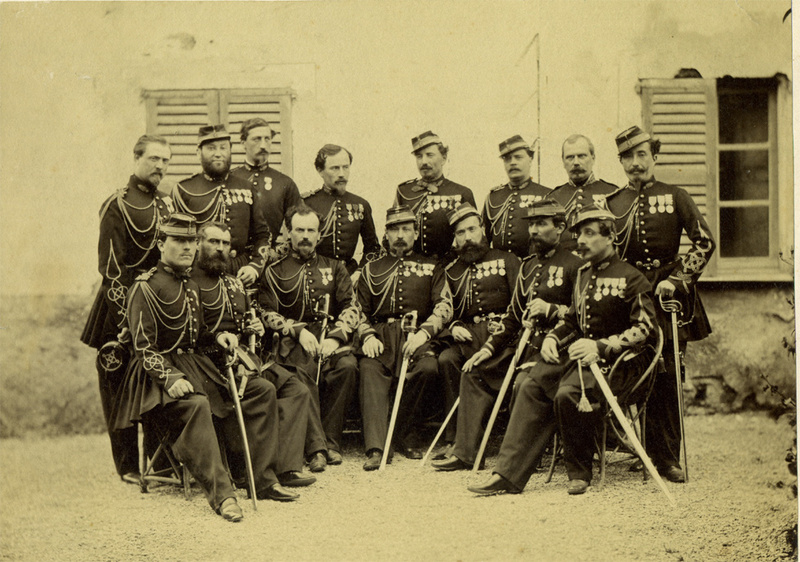 Dumas responded with great humour, and raised with enthusiasm his glass "in honour of these soldiers of legend, these makers of epics, who are the Zouaves!" "The famous novelist, we wish well, we hope to implore the clemency of Colonel and let him open the doors through his influence the small Chateau d'If which military discipline keeps always closed. Alexandre Dumas has already often charmed us by his narratives during our leisure time, weoften admire his talent, and we would be proud to have him personally reconnaisance." This supplication was signed 'Edmond Dantes', the hero of Monte-Christo. Dumas passed the note to the colonel during the event who lifted the punishment. When all came to an end, even this the most joyous reunions, when Dumas, delighted, took leave of his hosts, young officers of the regiment brought him solemnly a diploma of the Great Mandarin dating from the year 1280 found the Summer Palace in Beijing; declaring that patent conquered by the regiment being its property, they had the duty to confer the title of Great Mandarin upon Dumas."